This Saturday evening the Museo dei Campionissimi in Nove Ligure (AL) is hosting a presentation focused on the bicycles of Fausto Coppi and those made by the Reparto Corse (racing department) of Bianchi. - the discovery of the records, documents, and unpublished photographs kept by Pinella De Grandi, the most famous mechanic of Fausto Coppi. The documents include the register of bikes made by the Reparto Corse department during the Coppi years and the final word of which were the Coppi bicycles. 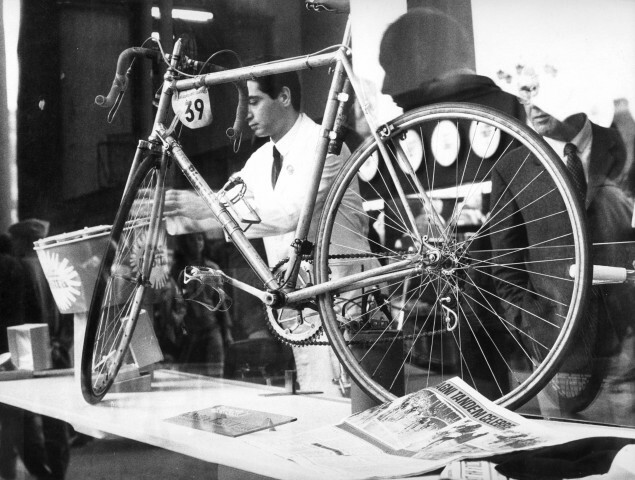 - Paolo Amadori and Paolo Tullini, who discovered De Grandi's papers, will dicuss how they arrived at the idea of writing a book just on bicycles used by Fausto Coppi, and during the evening the two collectors will give a preview of this ambitious project. Also presenting will be cycling historian Carlo Delfino who will discuss the history Bianchi's Reparto Corse department. 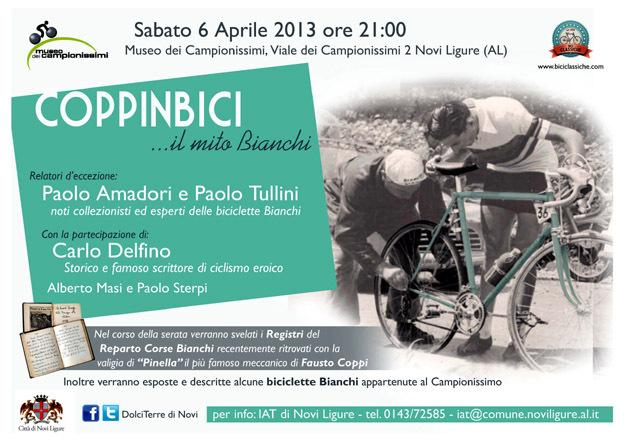 Several bikes belonging to Coppi will be on display and Delfino will discuss the Coppi-Bianchi relationship. Note: Many Coppi related stories in the blog; use custom search in the upper right to find them.